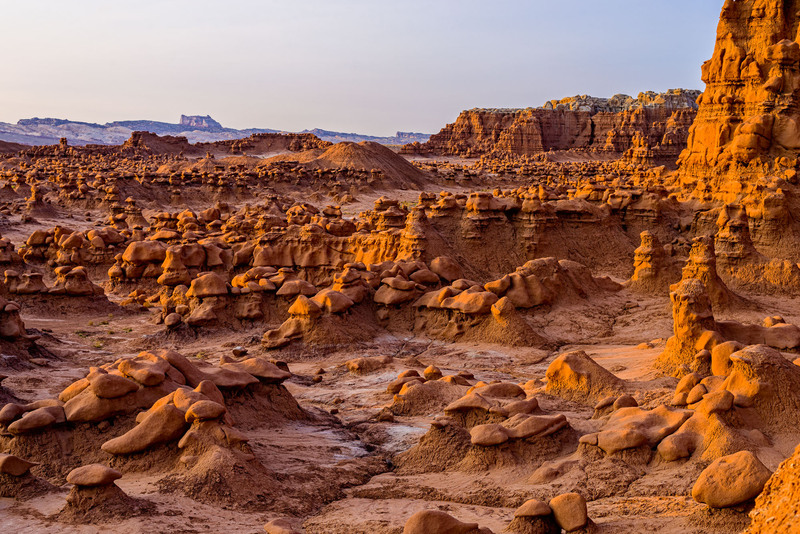 Scenic location of geological interest in Utah with goblin-like formations that make for great desert red-rock scenery. Captured as a 14-bit Raw file. Edited in 16-bit ProPhoto RGB color space.